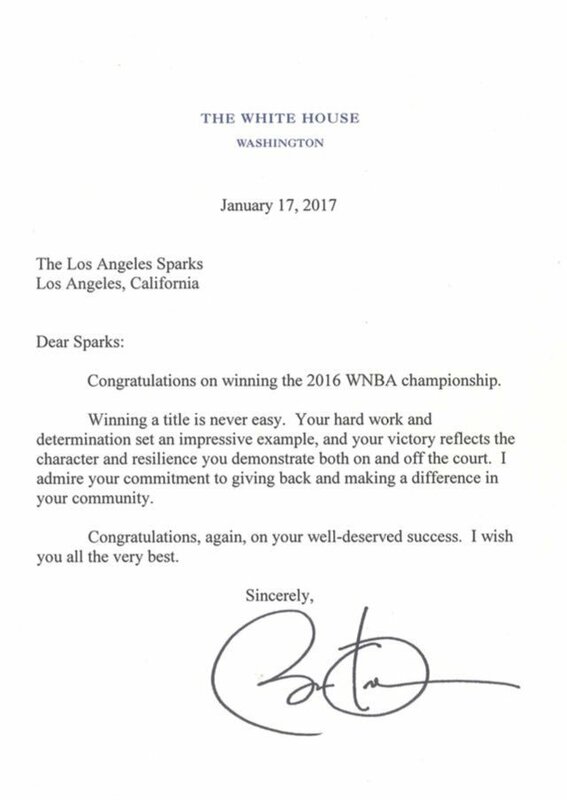 The 2016 WNBA season ended with a championship and an MVP trophy for Nneka Ogwumike of the Los Angeles Sparks. There were a few constants during that summer: Nneka’s lights-out shooting and Chance the Rapper’s Coloring Book album which served as the season’s soundtrack. Continue scrolling for an annotated transcript of the Nneka Ogwumike episode of The Nostalgia Mixtape. 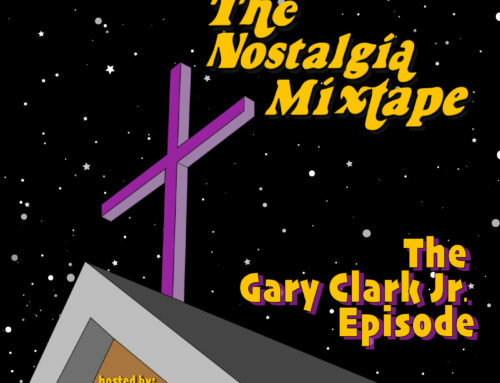 If you want to hear the songs mentioned and used in this episode, check out Nneka Ogwumike’s Nostalgia Mixtape playlist on Spotify and Apple Music. “Blessings” by Chance the Rapper plays. 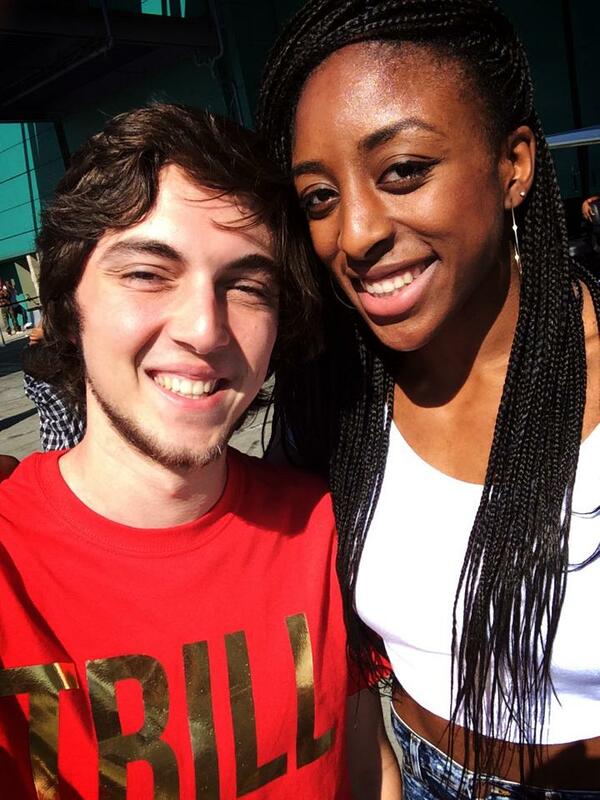 Nneka Ogwumike: Hey guys this is Nneka Ogwumike, and you’re listening to the only Nostalgia Mixtape. Sama’an Ashrawi: It’s the only one. Nneka: The only one. And the only one you should be listening to. “Blessings” by Chance the Rapper continues to play. 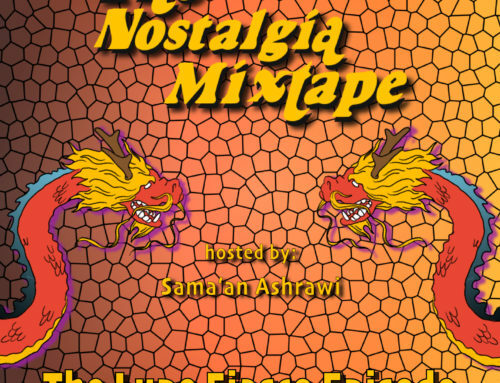 Sama’an: Welcome to The Nostalgia Mixtape. I’m your host Sama’an Ashrawi. Nneka Ogwumike and I both grew up in the same big little town in Texas; a place called Cypress. We went to middle school and high school together and we were never super close friends but we were always friendly. And I knew that Nneka had a bright future because all you had to do was go to one of her games — either volleyball or basketball — and you would know that she was unstoppable. And on top of that, everyone loved her. And I think that people always remember how you make them feel, and, if you treat people nice, they’re gonna want you to be around for a long time. Nneka played college ball at Stanford. She was drafted by the Los Angeles Sparks of the WNBA [editor’s note: Nneka was the #1 overall pick!] and sometime shortly thereafter is when I first moved to Los Angeles. We ended up reconnecting at the B.E.T. Awards in the summer of 2015. I was riding on a golf cart with Bun B through the back of the convention center in downtown Los Angeles, and, as we rode through, I heard someone shout my name and I turned around and it was Nneka! I was like, “Yo Yo, Bun, hold up. Stop the cart.” I got out, and I ran over to her and hugged her, and we both had this wonderful, “What are you doing here?” moment. And it was really, really sweet. You know, it’s not to say that we’re best friends now, but we’re finally, actually getting to know each other better than we ever did in our childhood and it’s the nicest thing. Now the song she chose to talk about was the theme song to her 2016 MVP and championship season. And it’s really quite a perfect song. So let’s let her set it up. Nneka Ogwumike and Sama’an Ashrawi at the 2015 BET Experience. Sama’an: 2015 was, like, a rough season. 2015 WNBA regular season standings. Nneka: [exhaling] Yes it wasssss. Sama’an: And 2016 was like a massive turn around. Nneka: Yeah. 2015 was challenging in that we yeah we gained a new coach, Brian. That was his first year. Candace only played half a season that year, and we had kind of a lot of new faces, and I mean that’s really all I can give you. There’s a lot of times when a team just isn’t having a good year and there’s no real answers. And for us we were losing a lot of close games, so that was challenging. By the time All-Star rolled around we were .500 or below. When Candace came back, obviously, things got better, but it was just one of those years. It was definitely, I would say, it was a kind of a building year. Then 2016 came around, and the main difference was that we had most of our team around for training camp which is very rare in the WNBA because we play overseas and that overlaps. So I think I was probably the last one to come and I was still around for like a week of training camp. And it wasn’t to say that we were, you know, we were thinking, “Oh we’re going to win a championship this year.” It was just we had built a culture around how we wanted to play. And it started from the year before. So Brian came and he laid down the framework and we just builds on it builds on it builds on it and I guess that’s kind of what it’s kind of what you saw as 2016 unfolded. Sama’an: Yeah. On a personal note were you… was 2015 okay for you? Like mentally, emotionally, but it just was a bad season professionally? Nneka: Man… mentally I was a little scattered. You know we go through kind of stages in life where we think we know what we want, and we think we know how to get it, and I was at a point where I had to relinquish control of that. I had no idea what was coming. And I didn’t know that I was ready for it. And so I guess I was kind of scared… yeah. Sama’an: And the album, Coloring Book, it dropped the day before the 2016 season started. Sama’an: I looked that up. I don’t know if that’s how you remember it. But it dropped the day before the season came out. So how did you…. Did you find it through Twitter? Like how did the album come into your life? Nneka: I stumbled upon it on social media but I really delved into it when it was recommended to me by a friend. And obviously when you’re scrolling through social media you see you know, “Chance the Rapper, Chance the Rapper,” and you’re like, “Okay, let me try and figure this out,” [editor’s note: Chance’s fans tweeted literally every gosh darn lyric from Coloring Book] and lately I’ve been really… I’ve been very cognizant of the type of music that I listen to and when I check out the album I realized that I had already listened to Acid Rap. Nneka: Yeah. And so it was easy for me to get into the music. Sama’an: Okay. So get a little more specific What’s this memory that’s tied to the song? Nneka: The specific memory tied to this song aside from the 2016 season… I remember specifically, I believe it was… yeah it was Game 5 of the 2016 Finals. Sama’an: That was a big game. Sama’an: I know it was really short. Nneka: Oh yeah. [laughs] The bus ride was like 45 seconds long, but I don’t know I was in a space that was uninterrupted by any type of distraction. You know I was just sitting on the bus, obviously put on my song. Sama’an: Where are you sitting on the bus? Nneka: I sit in the eighth seat on the left. Don’t ask me why I know that [laughs]. Nneka: I sit in the eighth seat on the left with my teammate, A.B., Alaina Beard sitting in front of me. So I had that song blasting through my headphones, and she could hear it too and so we were both kind of jamming out to it. And the part that came on, or the part that I kind of fast forwarded to, was when he was just saying, “Are you ready for your blessings? Are you ready for your miracles?”. Nneka: Yeah, and so we’re rolling it into the Target Center and it just… I was ready. Like, the moment I was there. I was in the moment and I had never felt more sure of anything. Sama’an: This song– I mean for this album to have been out the whole summer, for you to still go back to this song for the Finals… It must have been, like, really meaningful to you. Nneka: Oh hugely, hugely. And you know when it comes to music, movies, shows, podcasts, I like to listen to everything in its entirety and I like to digest it and really gain an understanding of it. And this album had been on repeat. It was between Coloring Book and A Seat At The Table. Those were like literally the only two albums I was listening in 2016. So I had fully grasped what the song was saying; I fully grasped the album, I loved the concept of the album, and, that song for me, it embodied my experience of listening to the album but also of what I was going through. Sama’an: Do you have favorite lines from that song? Sama’an: Or than we think we do. Nneka: Than we think we do. And there’s this analogy that Alaina Beard, we call her “A.B.” used that whole that whole summer… she said, “You hold on loosely.” Because if you hold on to something too tight… it’s probably gonna hurt you, it’s gonna burn you. You know? But if you hold on loosely, to the point where you can react to something dropping or something, you know, being pulled on… you actually have more control than you think. So that’s kind of what spoke to me when I think about that. Sama’an: Yeah! And that last shot in Game 5 went up as a prayer and definitely came down as a blessing. [laughs]. Nneka: [laughs] Yes! There you go. You need to be writing these down. Excerpt from Nneka’s WNBA Finals-winning shot sequence. Sama’an: Slightly less dramatic and climactic, but it’s making me think of my short-lived basketball career which just lasted for seventh and eighth grade. Nneka: Is that even a real question? Nneka: [laughs] That was what got you guys going, right? Sama’an: I don’t remember who — like the first time it happened — who threw it on, but then we realized that we as seventh graders all knew the words to that song. So we just like started rapping it and then the song would end, but then we would keep the handclaps going, and was the first and last time I’ll ever do a freestyle. Sama’an: No one needs to hear me do that. Sama’an: [deep sigh] You know in the right situation it could happen again. Sama’an: Very specific. If I join another basketball team, and we end up playing in a championship game, and there’s a bus ride, it could happen again. Nneka: It could happen again? Sama’an: It could happen again. Yeah. Nneka: Alright, that’s good to know. Nneka: Well as you know we had a pretty cool high school team– girls’ basketball team at least, no disrespect to the boooys, they were doing their thing too. Sama’an: Y’all were better. Y’all were better. Without a doubt. Nneka: Obviously always listened to that, but then we did a lot of freestyling ourselves. Nneka: Yeah. So I usually had the beat, and then Chiney would freestyle. Nneka: [laughs] Yeah. So we did that too which was cool. But “Shake that Laffy Taffy” was the one I definitely remember. “Laffy Taffy” by D4L plays. Sama’an: Do you remember what you were listening to for the high school state championship? Sama’an: Or what you might have been listening to in that era? Nneka: Probably “Bring ‘Em Out” by T.I. Sama’an: Oh wow. Yeah. That’s a great one. Nneka: I mean that’s usually a lot of go-to, but I wasn’t I wasn’t really getting myself into the zone with music. I didn’t really get into that until around like my professional career or maybe like my senior year in college, a little, but my professional career is really when I started getting into it and yeah high school I was just trying to go and win some games. [laughs] And get Chipotle after. Sama’an: [laughs] Did you make mix CDs in high school? Sama’an: How did you… how would you make them? What was like the deciding factor? Was it moods? Was it just what you were listening to at the time? Nneka: Yeah, what I was listening to at the time, what was hot, but I also made a lot of like 90s hip hop / R&B mixes. Sama’an: I wish I knew I knew this back then! I had no one to share that love with. Nneka: I’m telling you! But, I mean I also really love like… I’m a sucker for Southern influence, so I used to love it when 97.9 The Boxx did chopped and screwed on Sundays. Nneka: [exhales] That was the best. So I like a lot of chopped and screwed music. Nneka: Yeah but that’s pretty much it for me really. Sama’an: Okay, I’m takin’ notes. Nneka: I developed, I matured in my, I guess, musical interest and the spectrum of what I listen to as I got older. Yeah! Sama’an: How did you label your mix CDs? Nneka: [laughs] That’s such a good question. Sama’an: Because I would date all mine which — I don’t know why I did it at the time — but now it’s like when I want to I can go back and know what I was listening to on an exact date. Sama’an: I didn’t think about it like that at the time. But now how did you… because I know some people had like silly names that they would like draw on the CD. Nneka: Yeah mine was based on genre. Nneka: With a “Z.” Absolutely. And like “Throwback,” “90s,” and, you know, “Get Crunk,” because you know that was the word we were using back then. Sama’an: I think that… remember that Lil’ Jon CD? The… uh… Crunk Juice? Sama’an: That was one of the first explicit CDs I ever got. I don’t think my parents knew… I don’t even know– if they would have just looked at the tracklist on the back they would have… probably not bought that. Nneka: Let me tell you somethin’… I think it was like my 13th birthday party, or something like that, or like my 14th birthday, I had a birthday party, and one of my friends gave me CDs for my birthday and one was Britney Spears. I think it was Oops!… I Did It Again. And then the other one was Sisqo and my mom looked at the tracklist for Sisqo and she saw “The Thong Song,” and she asked the girl for the receipt. Nneka: And we returned it. I was devastated… I was devastated. Sama’an: That was the jam. Sama’an: I think I probably found out because of that song. Nneka: That was a teaching moment. Sama’an: … Thanks to Sisqo. Sama’an: I remember I used to get like… the first rap CD I ever got– well the first one was Lil’ Bow Wow, Beware of Dog. Nneka: Oh! Yes! Me tooooo. Me too. Sama’an: Yes! What was the name of that album? Nneka: I know every word to every song on that album. Nneka: I don’t remember that one. Sama’an: I don’t remember the name of the album. Nneka: But that’s my favorite. Nneka: I used to play that one start to end. Sama’an: I still know the words to so many of his songs. Nneka: He definitely had anthems! Sama’an: We– I wasn’t fresh as he was. Nneka: [laughs] Are you fresh azimiz? Sama’an: You know what? He’s doing his thing and I want to support his creative ambitions. Sama’an: Thank you, Shad Moss aka Lil’ Bow Wow. Sama’an: Yeah but the first… I remember like… so Lil’ Bow Wow didn’t really cuss anyway. 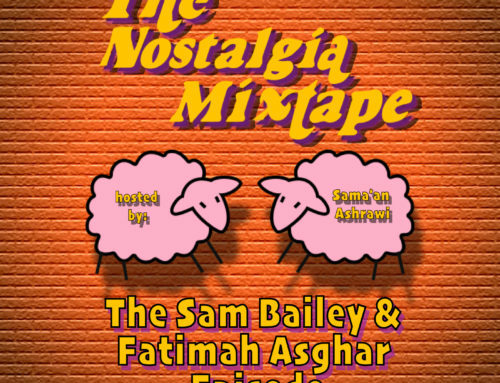 Sama’an: But the first album I h– first rap album I had with cuss words was Nelly, Country Grammar. But I had the edited version. Sama’an: And for the next like three Nelly albums, my parents only got me the edited version. So I know all the words to the edited version. The first time I heard Country Grammar, like, the explicit version, I didn’t recognize the words. Nneka: Yeah, like those were the types of albums where I was only allowed to listen to the singles on the radio. Nneka: That’s the only way I could really hear them. Nneka: What? Are you kidding me? I was like, “Who is David Banner? And why is he whispering?” He legit whispered the entire song! Sama’an: Yeah! I remember the Ying Yang Twins one and the David Banner one, they were both like on the radio around the same time, and my mom… I think she was just trying like to have a cool parent moment, but we were listening to the radio and one of those two songs came on and my mom was like, “Oh! This is really cool! I never heard someone whisper on a song!”. Sama’an: Yeah that was their thing. Nneka: [laughs] Have you ever wonder like what your club experience would be if you were old enough to go when you were listening to those types of songs growing up? Sama’an: I wish I could’ve gone to the club during the crunk era. Nneka: Yeeeaaahhh. Oh my Gosh. Nneka: What! Could you imagine? Sama’an: Yeah the Crunk Era was…. Nneka: [laughs] I was so oblivious I didn’t even know what I was dancing and singing to. Sama’an: My first high sc– or middle school party that I ever went to without parents. I have a distinct memory of “Salt Shaker” playing. Ying Yang Twins. Sama’an: It was a lot. Nneka: Yeah. No it was a lot. Sama’an: I remember walking into this house party, it was the first house party I ever went to and “Salt Shaker” is playing, and I’m not gonna say these kids names because you would know them and I don’t wanna put them on blast like that, but, this one boy and this one girl were in the pool in the backyard. Sama’an: I won’t get too explicit! I was in the hot tub with like a group of people– a group of kids. And so this guy and this girl were in the pool pool, and… they started making out and I remember he was making a making out with her with his eyes WIDE open. Nneka: That is SUPER creepy! [laughs] Why? Nneka: Thanks, Ying Yang Twins. [laughs] Ying Yang Twins… they were responsible for almost anything and everything that happened in the 2000s. Nneka: [laughs] What? I canNOT. Sama’an: Can you talk about like how you might have grown as the album [Coloring Book] grew on you? Because the album definitely grew on me that summer. Nneka: Yeah. So when I first started listening to it… I do a bad job of listening to the words when I first listen to music. The beat has to get me first. And he had such a range of type– I guess type of sounds on that album that it really caught my attention. And so with the sounds you get the beat, with the beat you get the words, and then once you start singing the words you start listening to the words. And throughout the course of the season and that summer I gained more of an appreciation of not just the music, but what it meant to me in my life, and I had the opportunity to listen to it live as well which was really great. And so at that time I knew the words and then I could get into it, and by the end of the season that was my album, that was my song. Sama’an: The way that this album grew with me was… when it dropped I was definitely at like a really low point, and I had lost my job and had to move back in with my parents, and was definitely in like a very sad place. And I remember when the album came out, the first thing I did, like my first listen of the album, I took my sister’s bike and I went on a really long bike ride. I biked the entire duration of the album. And I heard the words first. I guess you were saying you had to get into the beats and stuff before you got into the words, but I heard the words first in that moment. And I like cried and cried and cried and cried listening to that album because there were like — I didn’t know it but — there were these parts on the album that I just needed to hear. Sama’an: Like the “DRAM Sings” little interlude. Nneka: I love that song, I love that part. Sama’an: And then what really got me was at the end of “Same Drugs,” I wrote it down… The beat cuts out and it’s just like piano and Chance is almost like whispering in your ear. Sama’an: He’s like, “Don’t forget the happy thoughts, all you need is happy thoughts.”. Sama’an: And I was like “Oh my god.” And then it was just like waterworks, I just started bawling. But it seemed to me like those lyrics were something that could only be written by someone who’s kind of like experienced unconditional love. Sama’an: So I wanted to ask like what kind of love did you grow up with? Nneka: I grew up with very much of a, I guess, familial love. The bond that I grew up with was me and my sisters and of course our parents. But the love that they had for us was displayed heavily through action, through sacrifice, with my parents, and just kind of everyday gestures that people don’t necessarily consider ways to tell people that you love them. I think that love is misunderstood when it’s indirect. And for us, it was a very unified family love and it still is and it’s gotten stronger. It’s gotten a lot stronger. And one thing that I’ve realized especially after listening to Coloring Book is: you have the love of your family and a lot of times family can be, you know, [laughs] family can be challenging at times, but it’s like the friends that you’re born with, and you gotta make it work in the best way possible. And so I told my mom this recently: it’s like I’m learning to be friends with my sisters. Nneka: Not to say that I wasn’t friends with them before but it’s kind of like, “Oh you’re sisters, you’ve got to be friends.” You find interests and you really cherish the things that make us different. Sama’an: Do you think y’all’s relationship is getting stronger as y’all get older? Nneka: I think so, yeah. Sama’an: Same with me and mine. Nneka: [laughs] Exactly. It’s a time where you gotta swallow your pride, but, yeah I think we’re getting closer. Sama’an: I’m just drawing off my own experience, but, do you feel like being the kid of an immigrant makes your the family bond like tighter? Like do you feel like you’re all you got… kinda thing? Nneka: Yeah. So. 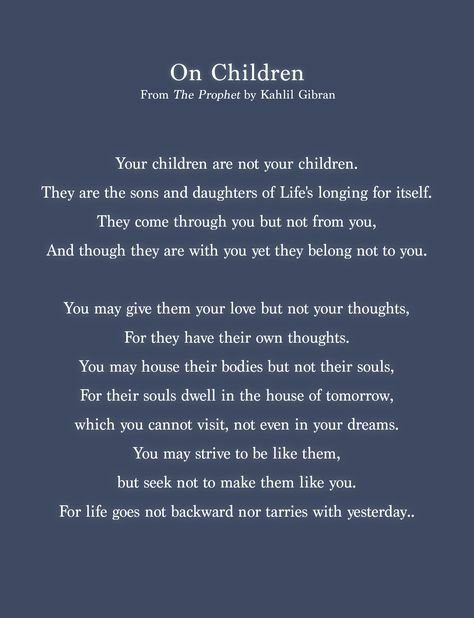 I mean you can speak to this if you resonate. It’s almost like being the kids of immigrants, it’s like you’re a vessel, kind of. You’re a vessel from your family to the world you’re living in but then you’re also a vessel for the world that you’re living in and its experiences to, kind of, your family. We have the best of both worlds. Nneka: We can also be very much misunderstood from both sides. Nneka: And growing up our parents do a really, really great job of making sure we don’t forget about our culture. But I realize now that what I thought I knew about my culture… I know more now because I’m becoming who I am. You know it’s not like a rule book. It’s not like, “Oh, yes, we do this, we do that. We do have traditional weddings, we do this.” Anyone can can say those things and know how we do things, but inside your heart like you have to realize why you’re doing it. Nneka: Yeah. and there are some things in the culture that you may not agree with, but you still have to respect it. Nneka: And I think as I get older I realize that, and to be very honest I think that we have a huge advantage being kids from parents who were raised somewhere else and are now being raised — I guess usually people attribute this to being raised — in the western world. Sama’an: Yeah yeah I definitely feel like I was raised with so much more like wisdom and knowledge about how the world works. Nneka: I’ve heard that quote. Sama’an: …But they never tried to like force it on me. Sama’an: And I love that. I love that about them. Nneka: It makes you appreciate it more. Sama’an: Does good music give you goosebumps? Nneka: Oh yeah… There’s gotta be something wrong with your biological make up if it doesn’t. Yeah, certainly. Sama’an: Those moments are great because it feels like it comes from something bigger than you because you can’t control when you get the goosebumps. Nneka: No! And you can’t control how you react when you hear music that touches you. Nneka: I mean… I just… that’s like the only album that I really remember from listening to it in 2016 and where I was at a point in my life. But I do know that after we won the championship, that was… I blasted that album everywhere I went. Sama’an: You don’t want no problems! Nneka: Yes! Actually that is what I was about to say. Nneka: So after we won we had the parade at L.A. Live. And our deejay, DJ Mall-Ski he always asks us what song we want to play when we’re at the free throw line, and “You Don’t Want No Problems” was my song. And so they were playing that when we were on the stage at L.A. Live when it was my turn to speak. And you know I just got the crowd all hyped and everything and that was… No one wanted any problems with me. Nneka: [laughs] That’s how I felt. Sama’an: Oh it’s so cool to know that was your album for that summer because I mean that was– I’ve never seen you play like that. Sama’an: It’s cool to know that that was your one. Sama’an: And you mentioned A Seat At The Table as well. Sama’an: Do you wanna talk a little bit about that too? Sama’an: Okay! Yeah yeah yeah. Nneka: So A Seat At The Table… it resonated with me in a little bit of a different way. It helped me realize… especially with all the interludes in her album it helped me realize the importance of like my heritage. Especially with the times that we’re in now. We have a lot of, you know, natural hair care, and just a lot of people doing things as they are and coming as they were made. Solange’s album really helped me understand that I have a heritage that so many people are seeking after. And also it helped me use that heritage to realize the beauty that I have. And it gave me a lot of confidence in that regard, and I mean, it’s still a work in progress, but I really just loved loved her and the attitude in which she presented that album. Sama’an: Do you want to maybe tell people where your family is from? You don’t have to get too specific into the culture, but, kind of describe it a little bit. Nneka: Well my full name is Nnemkadi Chinwe Victoria Ogwumike and if anyone knows a good African you know that’s where I’m frooom! I am a hundred percent Nigerian, born and raised in Houston, Texas. My parents are of the Igbo Tribe. That’s my foundation. Sama’an: What kind of music were you raised listening to? Nneka: Oh that’s a really good question. So, my mom is really into soft rock. Nneka: [laughs] Yeah, but actually I wanted to say you know most most kids our age, especially black young adults, they grew up listening to a lot of, you know, like Earth Wind and Fire and Luther Vandross, and we didn’t have that. So, I’m learning to listen to that now. Nneka: Cookout music. I did not listen to cookout music growing up, so all my friends are like, “What? You haven’t watched Soul Food?” There’s so many movies and music that I am not acquainted with and it’s… I’m not ashamed of it because I know how I was raised. Sama’an: Are there any artists of Igbo heritage that we need to know about? Old or new. Nneka: I mean I absolutely love Tekno. He’s kind of just multifaceted. He can dance. He can put out good music. he produces a lot of good music. He’s one of my favorite artists. I love Flavour as well. He’s an Igbo artist, probably one of the bigger ones coming out of Nigeria. And a lot of Americans know Wiz Kid because he does a lot of work. Sama’an: And he’s Igbo too? Nneka: Wiz Kid? I don’t think he’s Igbo. Sama’an: He is Nigerian though. Nneka: Yes. He’s definitely Nigerian. [laughs]. Sama’an: He’s not gonna let you forget about that. Nneka: But yeah those are kind of my favorites. And… yeah. That’s kind of– and my dad… I don’t particularly know like the names of the artists but my dad listens to a lot of what we call “Highlife.” And if you listen to Jidenna’s music, he incorporates “highlife” into some of his music. And highlife is like… it’s like our version of… kind of like cookout music, and like now people are kind of putting their own spin on it. And Igbos really listen to a lot of highlife. Sama’an: I’ll have to send it to you, maybe you some of the songs, but I have this compilation of Nigerian funk from the 70s. Nneka: I wanna listen to it. Sama’an: Maybe you’re familiar with some of the artists. Sama’an: I also want to say that I think Coloring Book, “No Problem,” specifically… I think “No Problem” might be responsible for beginning my obsession with the Milly Rock. Sama’an: [laughs] Because you know he has that part where he’s like, “Milly Rockin’, scoopin all the blessings out my lap.” I was like, “What is that? What is the Milly Rock?” So I went on the internet. Nneka: That was an infectious dance that took over. Nneka: I never learned it. [laughs] I just watch. Sama’an: I’ve gone from being very, embarrassingly bad at it, to like mediocre. Sama’an: Like… I can get by. Nneka: If you can get by then you’re good. Nneka: Alright, well then, that’s good. Sama’an: If I lose all my money I can always fall back on the Milly Rock. Nneka: I’m pretty sure you can find a job doing that somewhere. Sama’an: You know like those guys they have like standing outside of like phone stores? That like twirl the sign. Nneka: Oh… yes! You could just Milly Rock. Sama’an: I could just Milly Rock. Nneka: Okay that’s cool, no worries. [laughs]. Sama’an: Chance went to the White House, did you go to the White House? Sama’an: But you got a letter. Nneka: We got a letter, which we were very grateful for. But the timing just couldn’t have been [sigh] harder because he was on his way out. Nneka: Yeah. We did not get an invitation from the successor. [laughs] so… yeah. But I don’t think anybody would have agreed…. Sama’an: No one would really be excited about that. Nneka: BUT I will say that it wasn’t a supplement for going to the White House but we did make a team trip to the African-American Museum. Nneka: If you haven’t gone, it should be on your bucket list. Sama’an: I heard the wait list is like crazy. Nneka: The wait list is really nuts. Nneka: We were really fortunate not just to be able to go, but we had our own curator and everything which was awesome. Sama’an: So you had like a guided tour. Nneka: Yeah it was so great. Sama’an: Did you learn anything you didn’t know? Nneka: Oh yeah! So like I mean I don’t want to give it away. It’s not really giving it away but you work your way down, up. So I think it’s four floors below ground level is where the museum starts. Some really heavy stuff down there. Nneka: So that starts, and then you work your way up, and then at the top is like pretty much black people who made an impact in like music and food and society. Nneka: There might be a list of memorabilia. I’m not even really sure what type of memorabilia that they would… Yeah. Sama’an: Lil’ Bow Wow had good songs… he had good songs. Sama’an: Maybe not for the museum. Sama’an: You know what, time will be the judge of that. Nneka: We’ll see. Maybe maybe they’ll make an exception and your Milly Rock will be in there one day. Sama’an: I could like ghostwrite a Milly Rock. Nneka: Ghostwrite a Milly Rock, there we go. Sama’an: That could be it. Nneka: That could be it. Sama’an: That could be my big goal. Sama’an: Really just inspiring me to do better. Sama’an: Thank you so much for telling this story. Nneka: Thanks, Sama’an. Thanks for having me. Sama’an: It was a really great conversation. Sama’an: Yeah. No it was good. Nneka: That’s the understatement of the year. Sama’an: If you think of any more memories, will you share them with us? Nneka: Thank you for having me. Oh wow, well that was really nostalgic. I like that. Sama’an: I’m really glad we walked on the road together. Sama’an: Yeah. So I just wanna say thanks. Sama’an: So after that conversation I can now firmly say that I wish Nneka and I were better friends as kids because we clearly had very similar tastes in music. I mean who knew she was also a fan of the gawd Shad Moss aka Lil’ Bow Wow. I wanna say that his song “Ghetto Girls” is a revolutionary song, and should be part of the soundtrack to the resistance… in my opinion. And also that compilation of Nigerian music I wanted to give her actually turned out to be a highlife compilation, so if we had been friends sooner she totally could have put me on wayyyy earlier. I really really messed up by not trying to be friends with her sooner. Nneka is incredibly selfless with her time and her energy and she’s just as kind as she is smart. I’m constantly in awe of the way she juggles her commitments so effortlessly. Sometimes when people are really good at one thing, like Nneka is it sports, it can mean that they’re not so great at other things or have like a low social intelligence. I can’t tell you how many football players from my high school proved that theory to be true. But Nneka shatters that theory. She could totally get into politics or host talk show later on down the road. She’s really, really, truly that dynamic and versatile. So I want to say thank you to Nneka for taking the time to come on and tell her story; and for letting me embarrass myself with that story about freestyling on the team bus back in middle school. Oh God! Anyway. 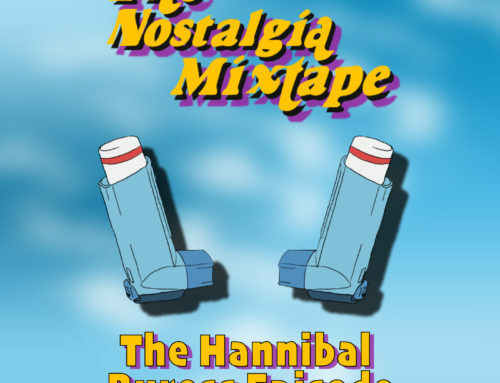 This has been another episode of The Nostalgia Mixtape. I’m your host, Sama’an Ashrawi, and this podcast is produced as always by the magnificent Jason Crow. We’ll catch ya next time. Sama’an: All those songs from that era had like that snap sound. Sama’an: There were so many you could throw on just back-to-back. Nneka: Betcha Can’t Do It — oh! Nneka: That’s another one! Yes! Nneka: And what’s crazy though is now they’re like… they’re sampling these songs now and people are like, “Oh, this is cool,” and I’m like, “You guys don’t even know where this came from.” Like no… They don’t know about anything. Nneka: Nothing. Like, kids these days don’t know about Missy Elliott! That is a major problem. Sama’an: That’s a huge problem. Sama’an: This is why we need music education in our schools. Nneka: No but seriously, we do. Nneka: Especially with all the crazy stuff they’re putting out now. Nneka: I can’t even listen to the radio anymore. It’s so hard for me to listen to the radio. Sama’an: I finally feel old now. Nneka: I feel old when like my sisters were asking me about what do they call that dance? “Hit Them Boys” or whatever this is? Nneka: They were like, “Oh my god, Nneka, you’re officially old,” and I’m like, “No I just value what goes through my eardrums.” And I like support Cardi B but I can’t get into her sound. Nneka: It’s so hard for me to get into her sound. Sama’an: There are some songs of hers I REALLY like. Nneka: I love her, personality-wise, and everything she’s about. Nneka: I like really tried listening to her album and I just couldn’t… I don’t know why. Nneka: That’s the one song I do like. Sama’an: That’s the one. Yeah. Nneka: Or, yeah, or her trying to sing like how she did on the Pink Print she was trying to do a little… kind of like how Drake tried to sing. And you can kind of tell that she was trying to do it, you know? But like Cardi B, she can… she raps slow, raps fast, her cadence can change, and I’m like… that’s an arsenal. Sama’an: Who knew she had that? Nneka: And it also really helps that she can speak Spanish too. That is major. Sama’an: She’s gonna have like hits on the Spanish charts. Nneka: I’m telling you… And the song doesn’t even have to be in Spanish, she could just say something in Spanish. Nneka: That is major. I mean, she’s she’s definitely a self-created prodigy right there. Sama’an: She needs to be like on the TIME Top 100 Most Influential People list. Nneka: No but she thinks. Nneka: And she’s personable. So yeah that’s what I support. I’m just trying to get into her sound a little bit. Nneka: “Do you ask that question to?” Do you know how many of these dudes have children? Nneka: No one ever asks them if it’s tough. Sama’an: No one EVER asks them that! That was like very… like I never thought about that before, and I’m glad that I experienced that moment. Nneka: I mean it’s the same for us like… I mean our coaches are over here trying to get us to come back, and the League wants us to play, but I’m like people want to have families. And not only that, you guys are over here saying you have our backs. Why doesn’t our insurance cover egg freezing? Nneka: That makes no sense. Nneka: We’re the ones who have to carry the babies! Sama’an: And you’re giving your life your lives to this league. Nneka: Exactly. How does our insurance not cover that? That’s crazy to me. Nneka: I mean because these dudes in the NBA. I mean it’s no knock on them, but, like, they can keep hoopin’ and the baby just comes. Sama’an: They don’t have to do as much work. Nneka: I have to stop playing to have a baby. So that’s something that I’m trying to change as the prez, so… hopefully I can. Sama’an: I you hope you can too. That would be really dope. Nneka: Anywho, thanks for coming.